You are already acquainted with many animals. 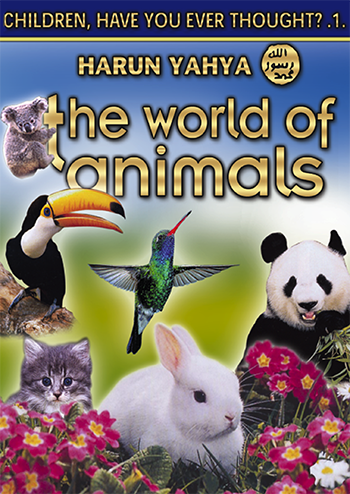 But in this book, you will also get to know some other animals' secret and marvellous worlds, which you have most probably never heard about or seen. You will like them very much. As you continue reading, you will be amazed at the way these animals can accomplish some of the tasks they do. You will see ostriches – the fastest runners in the world, tigers – some of the best sprinters, sharp-teethed squirrels, eye-catching peacocks and, as you meet them, you will come to know them better. Meanwhile, keep in mind that these are only some of the animals that exist in the world… Our planet abounds with countless other animal species. You can read Harun Yahya's book The World of Animals online, share it on social networks such as Facebook and Twitter, download it to your computer, use it in your homework and theses, and publish, copy or reproduce it on your own web sites or blogs without paying any copyright fee, so long as you acknowledge this site as the reference.